Founded in 2011, CircusTrix is the world leader in indoor recreation with more than 320 parks worldwide. The industry is expected to grow by $1.83 billion by 2023. Leading the way is DEFY Extreme Air Sports, the newest CircusTrix brand. DEFY provides youth and young adults an enticing alternative to video games and electronic devices by creating a way for them to enjoy positive, real-life experiences that can be shared with friends and family. 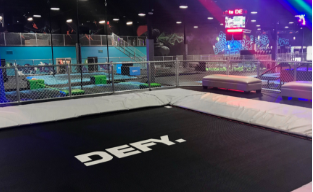 With a commitment to continual innovation, DEFY is unrivaled in its ability to create captivating environments that thrill and delight a world of fans. Perhaps that's why DEFY parks outperform traditional trampoline parks.